Please note that this programme has now sold out. To register your interest for the next programme (2021/22) please email admin@nullbodhi-college.org with your details. Thank you. The Committed Practitioners Programme (CPP) is an integrated approach to the study and practice of the Dharma that is rooted in the Buddha’s teaching of the path to liberation. The opportunity to, 1) study the texts (pariyatti), 2) develop and cultivate our experiential understanding of the teaching (patipatti) and investigate how they apply to our meditation practice and daily life, and 3) understand what is meant by realisation (pativedha), orients the programme. CPP offers a number of different, yet interwoven strands within its framework – teaching, discussion, community, reflection and investigations applied in our daily lives. All participants will have previous experience with Dharma practice and a working knowledge of core Buddhist concepts. The programme is an opportunity for students to learn and practice together. One of the intentions of this two year programme is to encourage participants to embed the teaching in every area of their lives. The six modules are held at Oostraven, Venwoude and Hunehuis in Holland, and offer an in-depth exploration of the teachings of the Buddha. These modules include sustained blocks of teachings and discussion, delivered in English. Times for questions and several sittings each day are scheduled. There are periods of silence during two of the meals each day. Modules begin with dinner on the first evening and before lunch on the final day. The modules offer plenty of opportunity for the programme participants to interact and are intended to foster community as well as peer relationships. To read about Marjan Ossabaard’s reflections on coordinating the first module, click here. Bodhi College teacher, Christina Feldman, shares why study is key to practice here. The first retreat is held at Zwanenhof in Holland and the second at Beatenberg retreat centre in Switzerland. Both week long retreats have a study practice format, and are held in silence apart from the teaching sessions. There is a regular assignment of Dharma themes to investigate and apply in the periods between modules. Selected reading is encouraged, but the most significant step is to reflect upon the reading and explore and apply it in your own life. Each participant is assigned a mentor, unless you already have a mentoring relationship you would prefer to continue with. You are encouraged to have contact with your mentor every 6 weeks, focusing on the current course material and its practical application. We anticipate these check-ins to be half an hour in length and it is important to keep the arranged dates. The mentors have access to the source book, and the sessions need not be face to face. The conversations between mentor and student are to be held in confidence by both parties unless there is agreement or need to share the discussion with others. It is the responsibility of the student to arrange the mentoring sessions, and the mentoring relationship is a dana relationship: your mentor does not receive any payment and may well be living on dana. 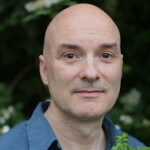 CHRIS CULLEN works as a Dharma teacher and psychotherapist. He trained to teach Insight Meditation with Christina Feldman. 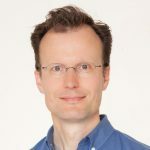 Chris co-founded the Mindfulness in Schools Project, and is on the teaching team at the Oxford University Mindfulness Centre, teaching mindfulness courses there and for MPs in Parliament. CHRISTINA FELDMAN is a co-founder of Gaia House and a guiding teacher at Insight Meditation Society, Barre, Massachussetts. The author of a number of books, she has been teaching insight meditation retreats internationally since 1976. 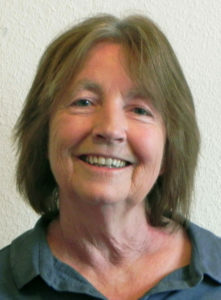 She is one of the teaching faculty of the CDPP programme, dedicated to the study and application of the early teachings of the Buddha and is engaged in teaching the Buddhist psychological foundations of mindfulness to those training to teach mindfulness-based applications in England, Belgium and the Netherlands. The programme involves a considerable investment of time and finance. Please ensure you are in a position in your life to begin and sustain the entire course. Since it is a closed programme, it has been budgeted based on all rooms being occupied for the duration. We are therefore not in a position to offer refunds for any non-attendance, and full participation is expected, except in cases of health or family emergency. Each participant will find their own ways of learning within the framework of the programme, but it is important to bring to a clear commitment to these two years. The greatest benefits are gained through engaging with the reading material and exploring the continuing investigation themes in your life. A monthly contact with your mentor will enable you to discuss questions and reflections that arise. * Please note, this has been revised from the €4100 amount stated previously. The programme teachers do not receive any compensation from the course fee, which covers the venue costs, a contribution to Bodhi College’s operating overheads and teacher travel expenses. It has been decided to offer this programme in the same spirit of dana that supports retreat teachers at Beatenberg and other major centres. The teachings are considered priceless and the teachers treasure dana or generosity as the heart and foundation of the path of awakening. There will be the opportunity to offer dana to the teachers at the end of each module and retreat. There are limited single rooms at our venues and, if available, are reserved for people with the greatest medical needs. Participants must therefore enrol with the expectation to share a room. Hunehuis is located in the middle of the Drenthe National Park, in the middle of a cultural and earthquake monument. It is in a woodland location on the edge of the village of Havelte, a stone’s throw from the characteristic Meppel and Steenwijk. The beautiful house is situated amid forests, forests, palms and sand sprays. For more than twenty years nearby Meeuwenveen has offered a space for trainers, teachers, and their accompanying groups to work towards raising awareness,meaningfulness and self-fulfilment. Organisations and companies travel from across the globe, to spend valuable time at Meeuwenveen, deepening their awareness, studying and becoming proficient in the art of living.